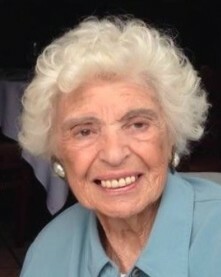 Beatrice Bernstein Yager, age 94, died peacefully on March 29, 2019, in Kenner, Louisiana, surrounded by her family. Beatrice was born December 3, 1924 in Brooklyn, NY. She graduated with a Bachelors of Science degree from Brooklyn College. On January 1st, 1945, Beatrice (Bea) married her college love, Dr. Isadore Yager and they moved to New Orleans. She worked at LSU Medical Center as a bacteriologist and research associate. Bea and Izzy raised their 4 children in River Ridge, Louisiana. Bea volunteered at Hazel Park Elementary with hearing impaired students in her early years. Bea was also a museum docent at NOMA, and the chairman of the women’s auxiliary of the Jefferson Parish Medical Society. She spent many years as a travel agent in Metairie, La. and more recently was voted volunteer of the year in April 2006 at Washington Elementary School for her work as a reading mentor. Beatrice’s interests were nearly boundless. She was an avid bridge player, and always carried a deck of cards in her purse. She participated in a bowling league, loved traveling, the symphony, Broadway shows, her book club, and creating art. Bea was an active member of her synagogue, Jewish community center, Women’s League of Voters, Hadassah, and studied Torah in her nineties. Although brilliant in science and a great lover of the arts and literature, Bea’s true passion and energy was for her family and friends. She was never happier than when enjoying a fine meal and great conversation with those she loved, and her kindness and generosity touched all that met her. The burning curiosity, wonder at discovery and drive to help others that served her so well in science applied perfectly to the rest of her life. All of this was spiced by a delightful sense of humor and irony. Her wonderful laughter will be deeply missed. Beatrice was preceded in death, by her parents Nathan and Anna Bernstein, her husband, Dr Isadore Yager, her older brother, Leo Bernstein and younger brother Morton Bernstein. Beloved mother of Randa Suher (Rob), Dr. Alan Yager (Liz), Juliette Yager (Rip Murray), and Beth Yager Eckstein (Bob). And beloved grandmother of Dylan and Cody Suher; Jaime, Kyla and Jacob Yager; Ethan, Chloe, and Anabelle Murray; and Kaila Eckstein. A service will be held at Shir Chadash Synagogue, 3737 W Esplanade, in Metairie, Louisiana on Monday, April, 1st, 2019 at 1 pm. Interment private. In lieu of flowers, please make a donation to your favorite charity or Shir Chadash Synagogue. Arrangements by Tharp-Sontheimer-Tharp, 1600 N Causeway Blvd. Information 504-835-2341. Condolences may be expressed online at www.tharpsontheimerfh.com.